Today's electronic devices, computers, solar cells, printing, imaging, copying, and recording technology, to name a few, all owe a debt to our growing understanding of the photophysics and photochemistry of polymeric materials. 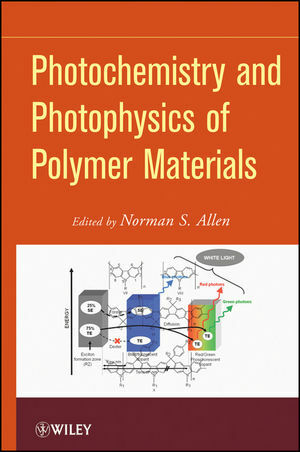 This book draws together, analyzes, and presents our current understanding of polymer photochemistry and photophysics. In addition to exploring materials, mechanisms, processes, and properties, the handbook also highlights the latest applications in the field and points to new developments on the horizon. Each chapter, written by one or more leading experts and pioneers in the field, incorporates all the latest findings and developments as well as the authors' own personal insights and perspectives. References guide readers to the literature for further investigation of individual topics. Together, the contributions represent a series of major developments in the polymer world in which light and its energy have been put to valuable use. Not only does this reference capture our current state of knowledge, but it also provides the foundation for new research and the development of new materials and new applications. 1 Energy Transfer and Electronic Energy Migration Processes (Li-Juan Fan and Wayne E. Jones Jr.). 2 Optical Properties of Polyelectrolytes (Linda Swanson). 3 Chemiluminescence Processes in Polymeric Materials (Teresa Corrales, Carmen Peinado, Concha Abrusci, Norman S. Allen, and Fernando Catalina). 4 Nonlinear Optical Polymeric Materials (Mirko Faccini, David N. Reinhoudt, and Willem Verboom). 5 Metallodendrimers: Photophysical Properties and Related Applications (Grégory Franc and Ashok K. Kakkar). 6 Photochromic Polymers for Optical Data Storage: Azobenzenes and Photodimers (Avtar S. Matharu and P.S. Ramanujam). 7 Optical and Luminescence Properties and Applications of Metal Complex-Based Polymers (Joe A. Crayston and Joanne R. Ritchie). 8 Photovoltaic Polymer Materials (Hazel Assender and Aaron Barkhouse). 9 Organic Light-Emitting Diodes (Sebastien Forget, Sebastien Chenais, and Alain Siove). 11 Photoinitiated Cationic Polymerization: Reactivity and Mechanistic Aspects (Muhammet U. Kahveci, Ali Gorkem Yilmaz, and Yusuf Yagci). 12 Photoimaging and Lithographic Processes in Polymers (Marius Gabriel Ivan and Juan Cesar (Tito) Scaiano). 13 Photografting of Polymeric Materials (Ali Ekrem Muftuoglu, Mehmet Atilla Tasdelen, and Yusuf Yagci). 14 Photoablation of Polymer Materials (Lukas Urech and Thomas Lippert). 15 Photodegradation Processes In Polymeric Materials (Jean-Luc Gardette, Agnès Rivaton, and Sandrine Therias). 16 Photodegradable Polymers (Sahar Al-Malaika, C. Hewitt, and H.H. Sheena). 17 Photostabilisation of Polymer Materials (Pieter Gijsman).